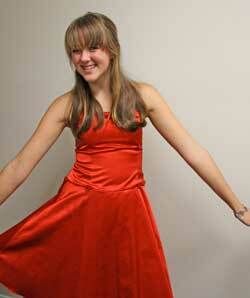 Notes: Madison is our youngest student who made this beautiful dress for her 7th grade Valentine's dance at age 12. Since the fabric is cotton, she had an easy time sewing it. Notice the attention to detail in the piping and invisible zipper. Quite an accomplishment considering it was only her second project. 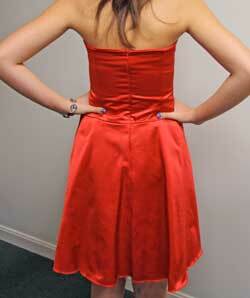 Bring on the prom dresses!! !